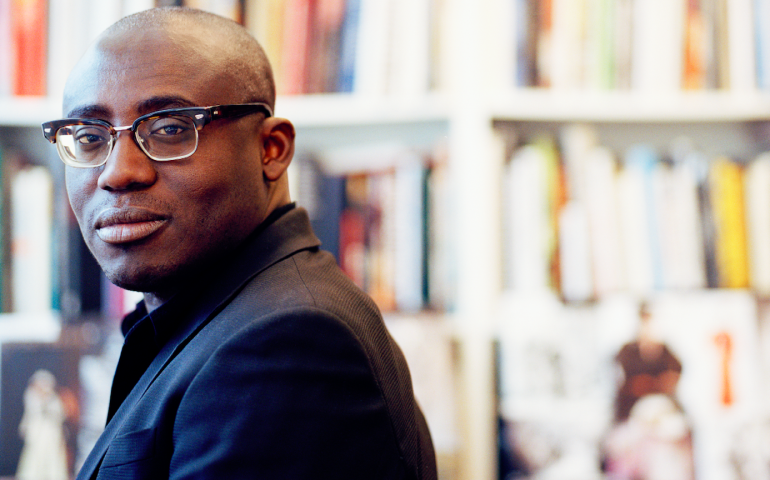 Ghanaian-born stylist, Edward Enninful made Business of Fashion's 500 list of fashion influencers in the world. This exclusive list is made up of blue-chip businesses and creative upstarts that help shape the $1 trillion fashion industry. Based on hundreds of nominations received from current members on the BoF list, data analysis and months of research on the nominees, they searched the entire globe and came up with a list of 500 that have proven their creativity, investment and passion towards the global fashion industry. Also on the list this year, Nigerian fashion designer, Lisa Folawiyo of her eponymous womenswear label; and the Chief-Executive Founder of lifestyle boutique, Alara – Reni Folawiyo joined 2 other Nigerians; Fashion Consultant, Omoyemi Akerele & retail pioneers, Tayo & Ayo Amusan who joined the list in 2014 & 2013 respectively. Ghanaian-born stylist Edward Enninful was appointed fashion director of British youth culture magazine i-D at age 18, the youngest ever to have been named an editor at a major international fashion title. After moving to London with his parents and six siblings at a young age, Enninful was scouted as a model on the train at 16 and briefly modeled for Arena and i-D magazines before assisting stylists Simon Foxton and Beth Summers on fashion shoots. During this period, he was introduced to i-D’s founder, Terry Jones, who named him fashion editor after Summers left. Inspired by London’s club scene in the 1980s, Enninful’s work during this period captured the frenetic energy and creative zeitgeist of the time. It was also during this time that he befriended many of his future fashion collaborators, including David Sims, Pat McGrath, Craig McDean, Mario Sorrenti, Kate Moss and Naomi Campbell. His fashion stories, often infused with a provocative elegance and strong narrative, have also appeared in American Vogue and Vogue Italia, where he was a contributing editor. One of Enninful’s most influential works is Vogue Italia’s July 2008 ‘All Black’ issue, featuring only black models, which became the magazine’s top-selling issue. In 2011, Enninful was tapped to take the style directorship at W magazine, a high-end Condé Nast title that had struggled in the late 2000s. He brought relevance to the magazine’s fashion editorials and put a twist on many of its cover stars’ public image, such as dressing the outré R&B artist Nicki Minaj as a French noblewoman. 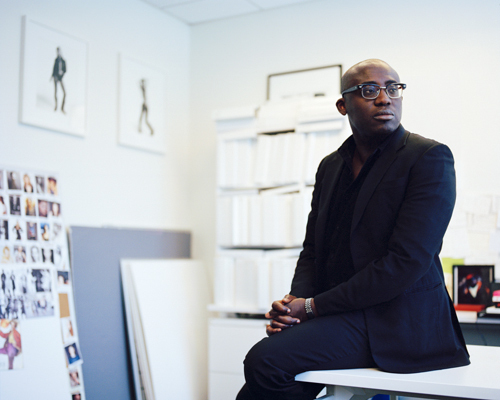 W’s editor, Stefano Tonchi, credited Enninful in part with the magazine’s 16 percent growth in ad page in 2012.